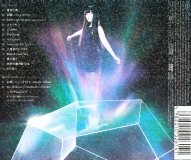 This CD+DVD package contains a solo album by Makino Yui. The DVD contains a promo video of "Onegai Jun Bright", and some video clips from Yui's Christmas Concert of Dec 16, 2010. There are also 12 extra full color CD jacket photos.